No tear-off. According to the EPA, roof tear-offs are the 3rd greatest contributor to US landfills. 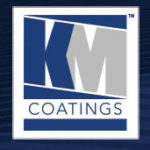 The coatings system products went over the existing 25-year old roof. A sustainable roof. With strong protection from UV degradation. The show goes on: All fluid components were low-odor, odor free. Because the facility is both a facility and a museum, it could not be shut down for any reason. The coatings system accomplished such without odor concern while also keeping debris and noise to a minimum.